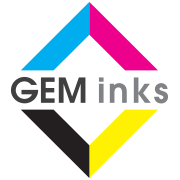 Looking for affordable hight quality ink cartridges for your Epson inkjet printer? We offer genuine Epson inkjet cartridges or remanufactured inkjet cartridges are guaranteed to work as well as OEM's but provide a cheaper and environmentally friendly alternative. If you cannot find the printer or cartridges you require, please let us know using the Contact Us page. We will respond quickly to help you find the right products.